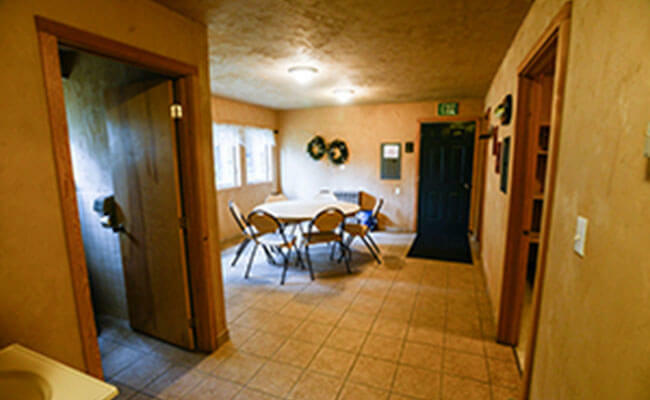 Whether you are coming with your spouse, family, or if it’s just you and the guys, we have the rooms for you. 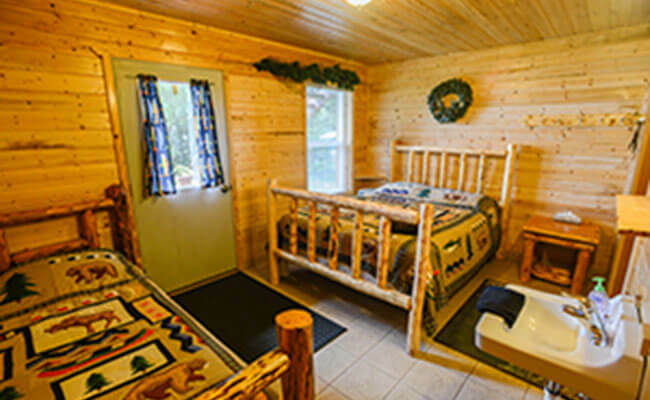 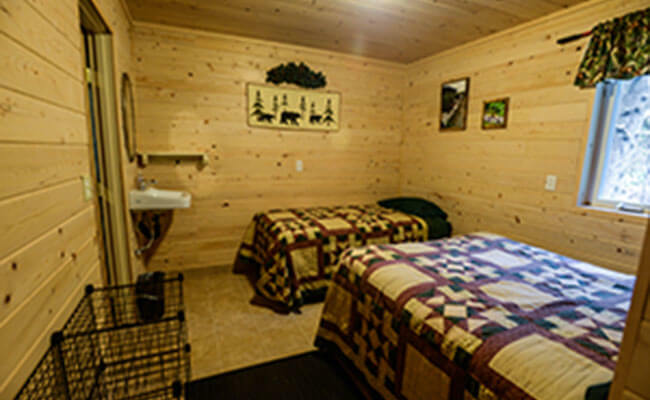 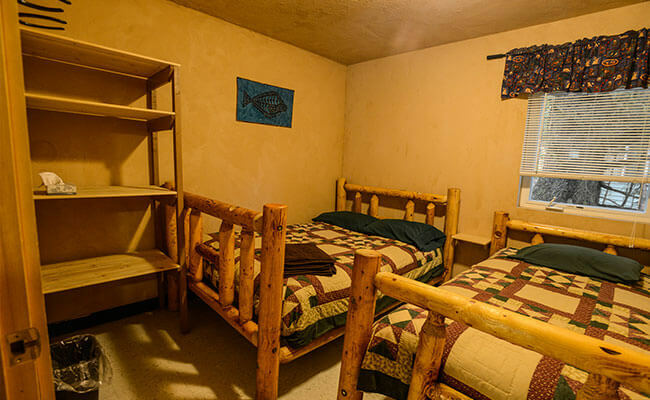 Most cabins have a common area where you and your friends can relax, visit, and play games. 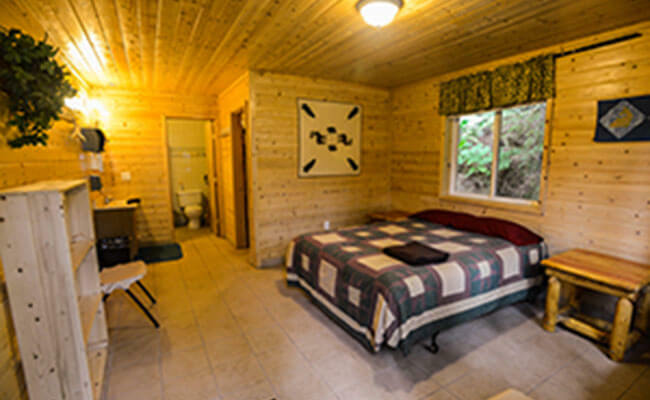 The lodge is always available to accommodate larger groups. 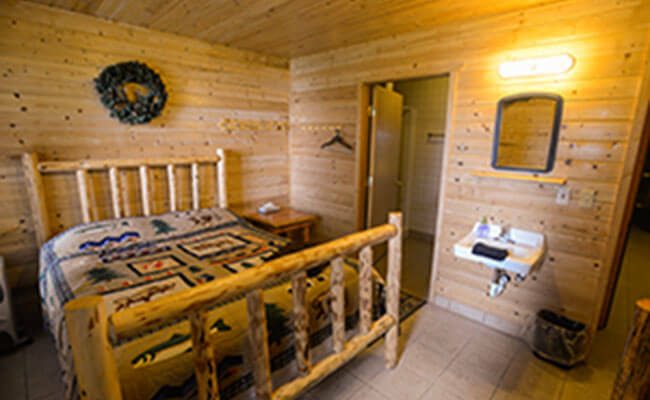 Our deluxe rooms include a private bathroom in each bedroom. 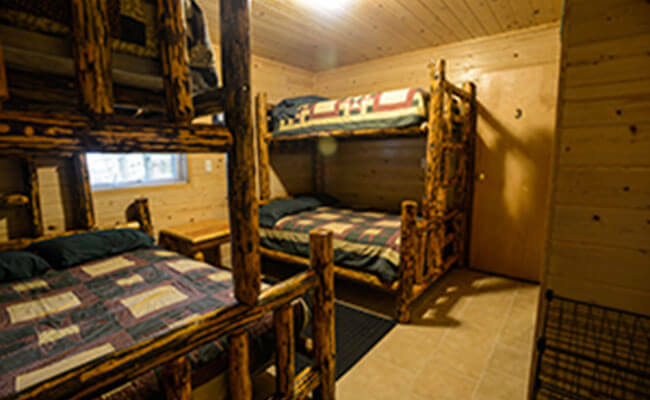 We also have a separate cabin, Fireweed, available for groups of 6. 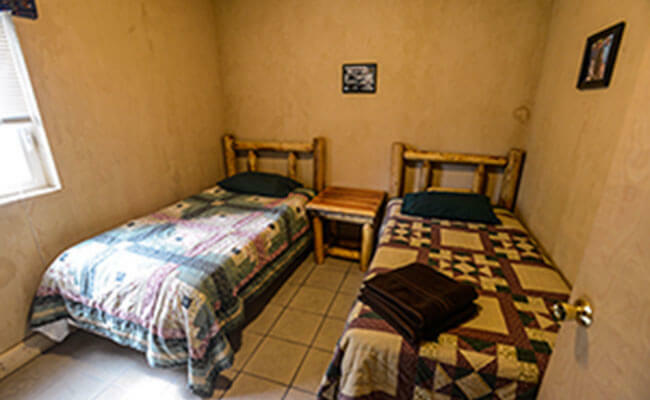 Standard rooms share a common bathroom just outside of the bedroom. 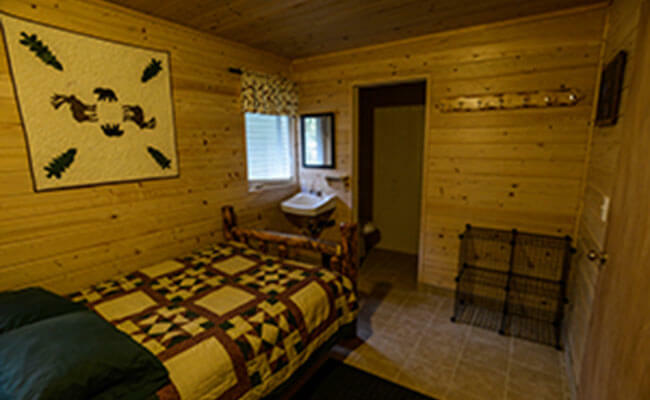 All images are examples of the accommodations at Doc Warner’s.